This must be one of the best boxes that we have had. I may be biased because of the plaque that is inset into the top of the red morocco and as a collector of Art Deco medals & plaques I have had a very hard time releasing it from my clutches. 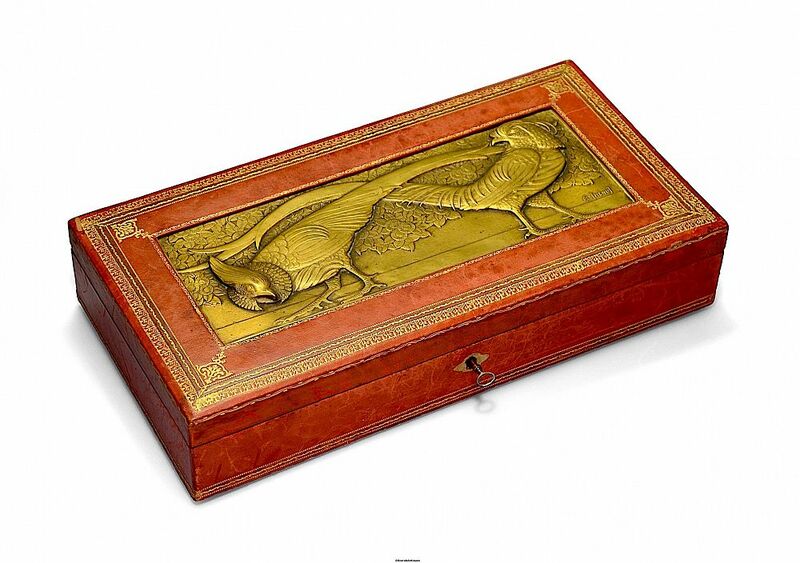 The box is rectangular with gold tooling and inset into the lid is a gilt metal plaque that depicts two pheasants in the foreground with flowers and foliage in the background. 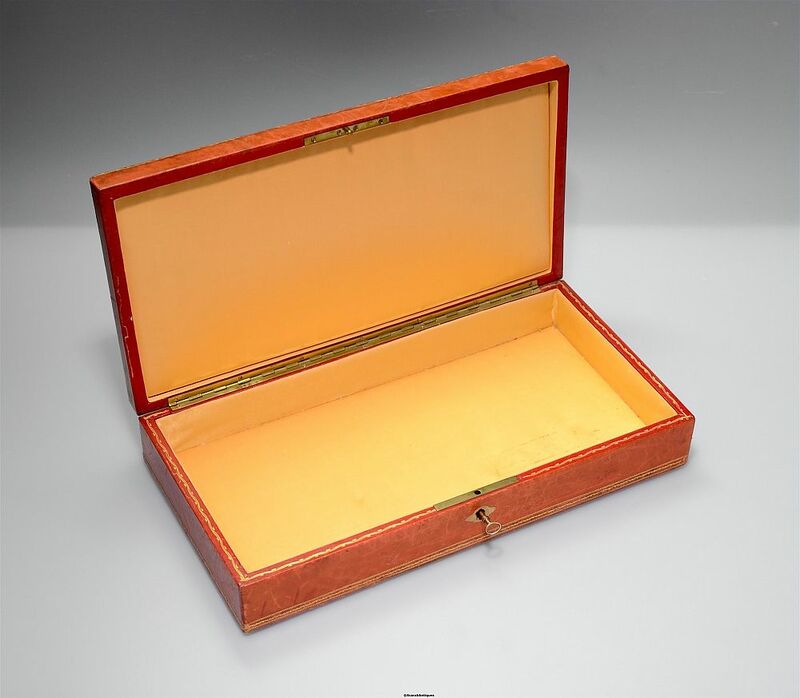 The plaque is signed "R F Thenot" The box has its small brass key and opens to reveal a peach/gold silk lined interior. The box sits on round domed feet. This is a beauty! Very good with some rubs to the leather and some marks on the interior silk but all commensurate with age and use.